Manufacturers are invited to attend a free event on Tuesday 27 June to learn about the contributions of SMEs to the regional manufacturing sector. 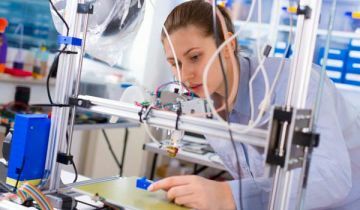 The University of Wollongong’s Advantage SME program and Southern Manufacturing Innovation Group are hosting the event with support from the NSW Government’s Boosting Business Innovation Program. The NSW Government has invested $12 million in the Boosting Business Innovation Program in partnership with the State’s 11 universities – including the University of Wollongong (UoW) - and the CSIRO to support collaboration with businesses to boost innovation. Tuesday’s event is supported through the Boost program and will be a celebration of World SME Day under the banner of ‘Celebrating Regional Manufacturing Transformations’. This event will highlight and celebrate the role and contributions of small and medium-sized enterprises in the Illawarra, Hunter, and Geelong manufacturing sectors. It will also be a chance for manufacturers to learn from other regional manufacturers who have adapted for the future. The event will showcase three regional manufacturing success stories followed by a panel discussion facilitated by Katrina Skellern who has done extensive research into manufacturing transformations across Australian regional areas. Katrina will provide a practical road map for local firms wanting to transform for the future. A ‘regional transformation showcase’ will feature NowChem from the Illawarra region, BanLaw from the Hunter region, and Austeng from Geelong as examples of successful regional manufacturing companies. The free event is from 8am to 10am at the UoW Innovation Campus and a complimentary light breakfast will be provided. Register online to secure a spot by Sunday 25 June 2017.